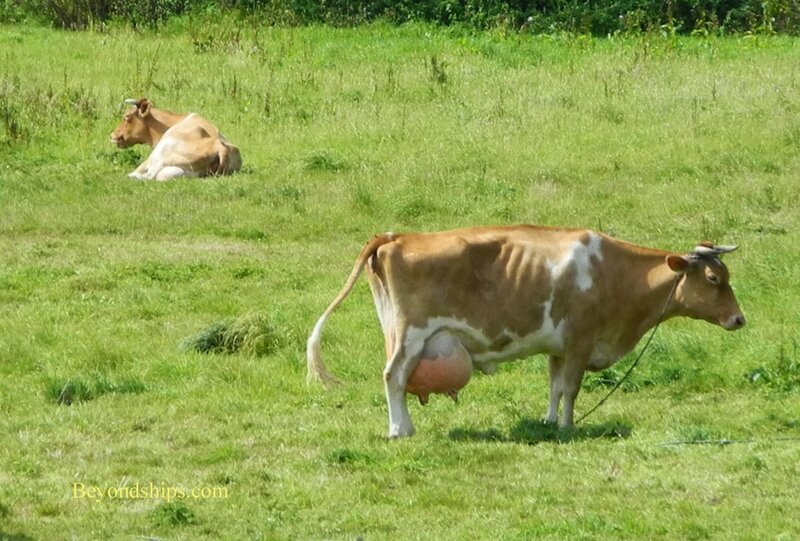 Guernsey is part of the Channel Islands, lying off the coast of Normandy, France. Although it has a long history, it remains uncrowded and relaxed. Guernsey is not part of the United Kingdom nor is it part of the European Union. Its connection to those entities is through the Duke of Normandy, who since 1066 also happens to be the monarch of England. The Channel Islands were part of William the Conqueror's possessions before his successful conquest of England.. While the rest of William's pre-conquest holdings were lost by his successors, the Channel Islands remain part of the duke's possessions. As a result, Guernsey together with some neighboring smaller islands make up the Bailiwick of Guernsey. It has its own government, with its own legislative assembly. Laws enacted must go to London for approval but not by Queen Elizabeth II of the United Kingdom but rather by Elizabeth II, Duke of Normandy. This unusual arrangement has some practical consequences. 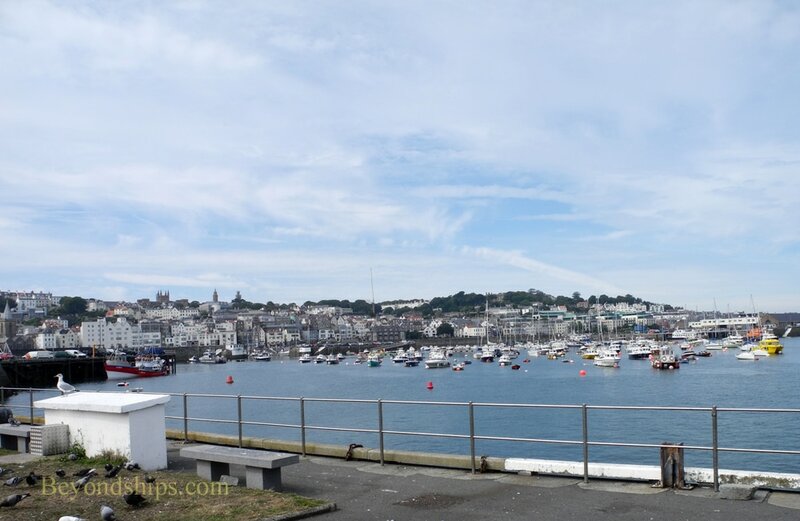 For example, Guernsey is not subject to UK tax laws. This has made the island attractive to firms and individuals in the financial services industry. Of more consequence to visitors is the fact that while UK notes and coins are accepted in Guernsey, Guernsey's local currency is not widely accepted in the UK. Thus, if you receive change in the local currency, you may not be able to spend it once you leave Guernsey. Still, for the most part, Guernsey is British. There is an old Norse-based language reflecting the days when vikings controlled the islands but few people still speak it. Also, reflecting the fact that France is not far away, French words and names are common. ​The climate is milder than that of the United Kingdom. It rarely snows and when it does there is no accumulation. Nor does it get very hot. Average temperature in August is 16 degrees centigrade or 60 degrees Fahrenheit. 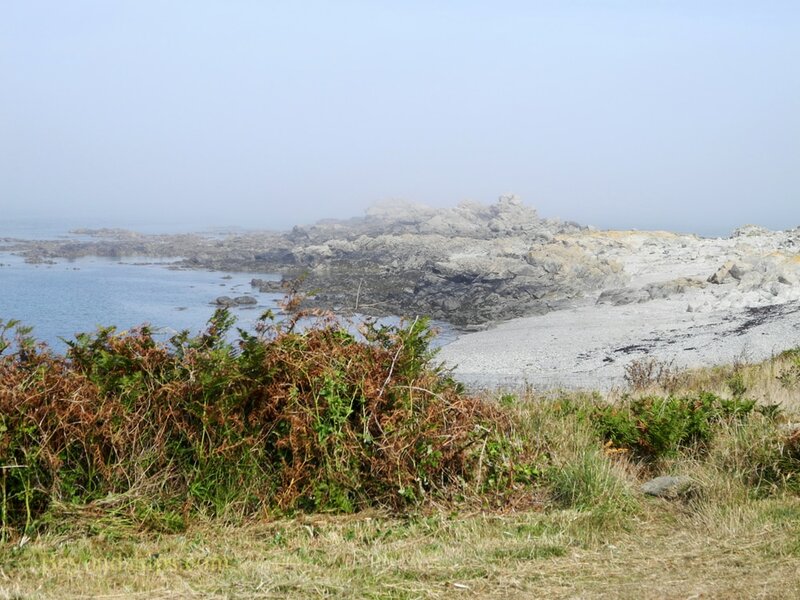 ​Above: Guernsey has a varied and sometimes wild coast. 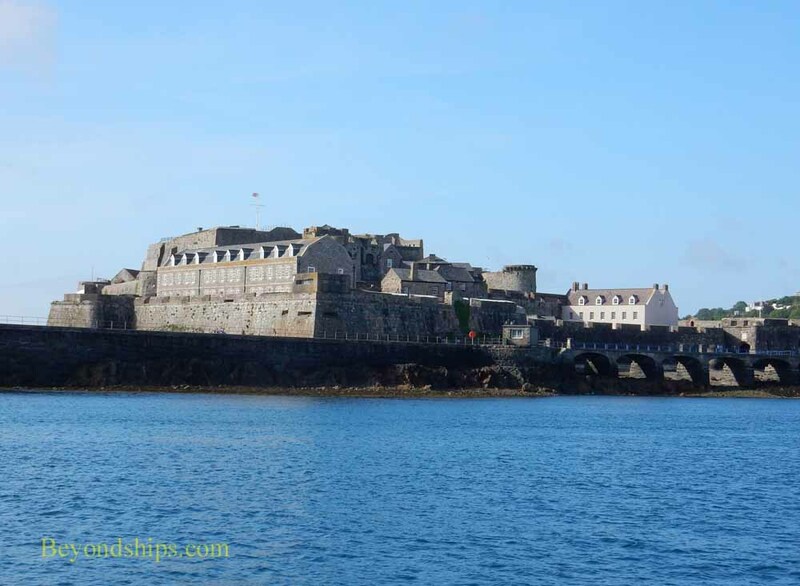 ​Below: Castle Cornet dominates the harbor at St. Peter Port.